Fireman Jarod and his lovely Bride Jamie tied the knot at Celebrations on the River. Very simply, these two met and fell in love. It was a normal day at a summer school program. Two teachers among many more. There to be helpful and hopeful for an urban ministry. It was not love at first sight, just a simple friendship that became the biggest blessing in both of their lives. Those who know Staci and Phil know of the kindness and encouragement that follows. The wedding day was just the same. Simple, kind, and encouraging in the sweetest way. The best thing to hold onto in life is each other. These two held their families close in the celebration preparations. Having a memory table near the guest book, family recipes on the menu, remembering birthdays that weekend, taking the time to capture photos with each family group, and a family dinner before the ceremony. This couple had been sweetly counting down the days on social media. With each post they gave their guests a glimpse at the wedding preparations, their excitement, and hope for the celebration to come. Posing even day of the wedding the live streaming link for friends and family that couldn't make the trip to share in the ceremony. Catharine and Andrew shared the date with two other couples that were sharing their 5th and 11th wedding anniversaries. During the Anniversary dance, crowns were placed on these couples to show special thanks of a loving example of a lifetime together. Kiss and copy spotlighted many couples as well. Newlywed cousin of the bride from two weeks earlier and the bride's Grandma Joy and fiance to be wed next year. Joining them in celebration on the dance floor were many friends from the seminary and coworkers from Catharine's hospital ward. A beautiful group from Bethany college and many guests traveling across the country and from Ukraine made this a global celebration. Thanks to Catharine and Andrew for letting us celebrate you two becoming one. Forever and Always. 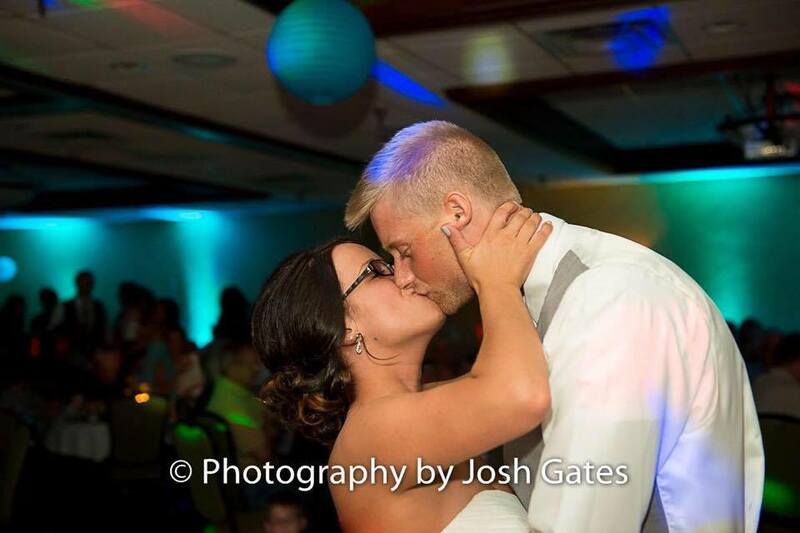 Kaitlyn and Tyler's wedding reception at the Mankato Verizon Center was perfection. 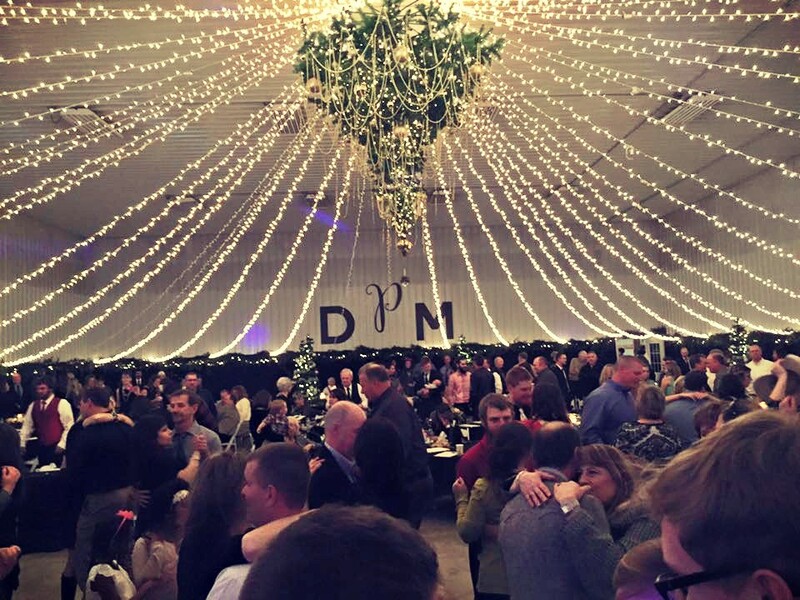 This couple spent the night celebrating with 275 guests, and through the planning process we were able to intentionally create enough time for them to visit with each guest, spend time together, and still party on the dance floor. A LIVELY GROUP FROM THE GET-GO. 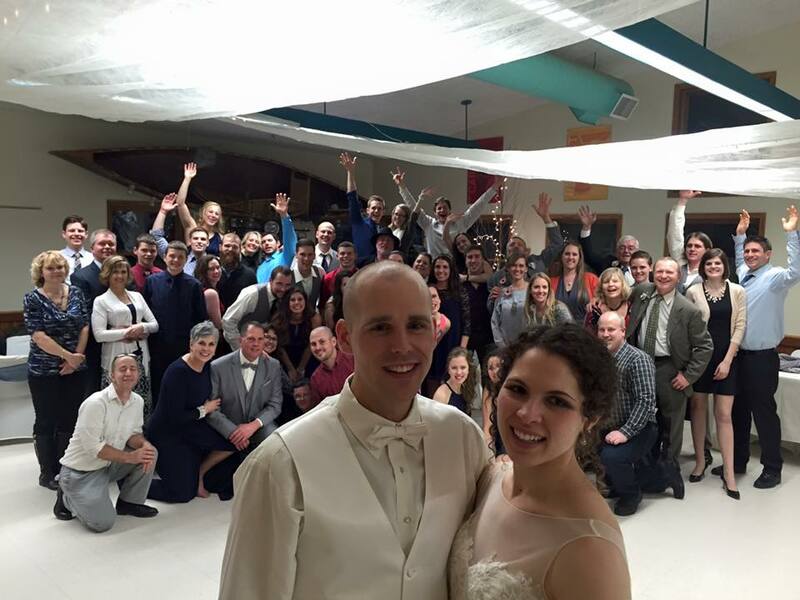 THESE FRIENDS AND FAMILIES CELEBRATED EVERY MOMENT WITH KAITLYN AND TYLER. "What greater thing is there for two human souls than to feel that they are joined... to strengthen each other... to be at one with each other in silent unspeakable memories." THANK YOU FOR LETTING US CELEBRATE WITH YOU! May the Lord bless your lives together. "This is the start of something wonderful." Brain and Heather met in a vendor line at a Twins game. That simple encounter became a relationship built on communication, respect and love. And on June 4, 2016 we celebrated that moment and all the ones to come with this amazing couple. 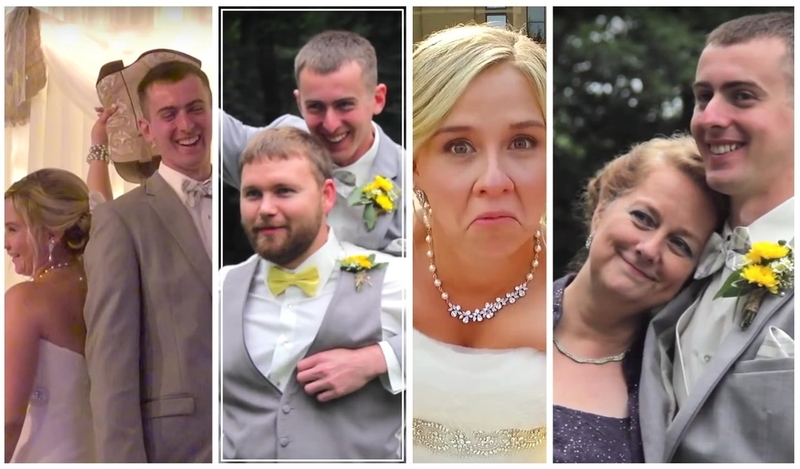 Take a look at the video to the right to see their day filled with the start of more "wonderfuls". A few rain showers throughout the day added to the fun, excitement, and memories for Brian and Heather's wedding day. 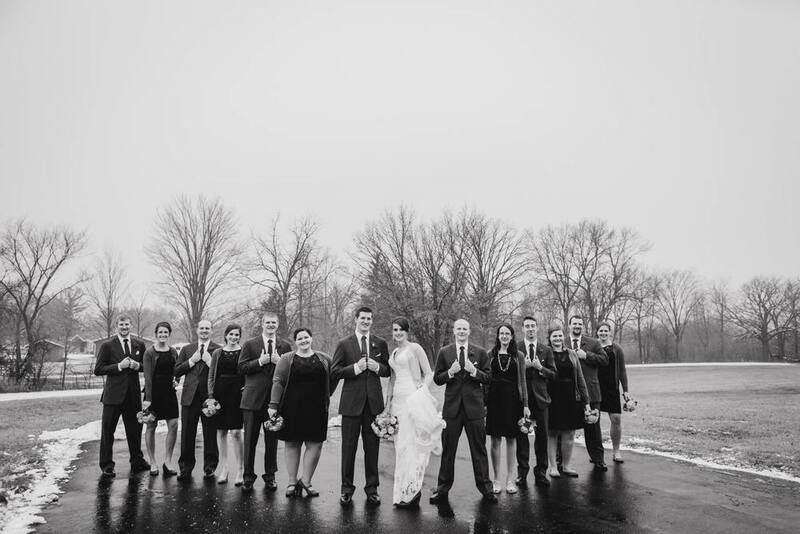 They used the spurts of sunshine to gather family and wedding party for pre-ceremony photos, and a little shower before the service made everything in the courtyard glisten for the moment beautiful Heather walked down the aisle. Moments after the words, "You may kiss the bride," were spoken showers of blessings came down once again as the 200 guests hustled into the social hour. The spontaneous, yet perfectly timed, change in weather allowed guests to splash through the small talk and bond together instantly. Dinner conversation was upbeat, speeches heartfelt, and the dancing was quickly underway. 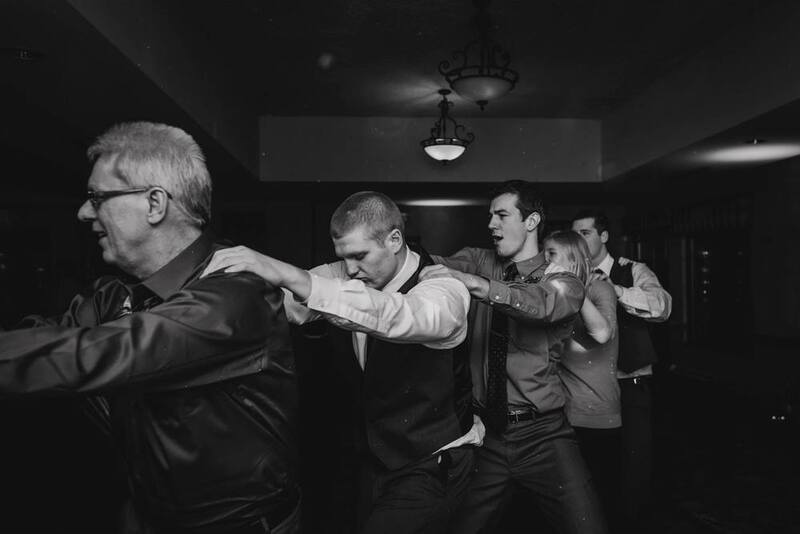 Entertainment was provided in the form of music, 2 bouquets, a garter hunt and lively round of musical chairs, interactive dances, and a friendly battle of the sexes. Elliot and Brandon were married on a beautiful spring day. Choosing to use a ceremony space with traditional elegance, a reception at a historical landmark, and infusing their day with fresh, personalized details. From the bride’s beautiful gown, to the gorgeous, punchy colors, a nod to their love of baseball, and a beautiful backdrop for the head table. HIGH FIVE FOR LOVE! These two had more than a GOOD DAYand were a BIG DEALto the over 400 guests that came to celebrate with them. Wishing that your new life together will be filled with, happiness, joy and lots of love. We began planning this day with Tim and Liz almost two years ago. Needless to say, this was a celebration we were all looking forward to for a very long while. To see everything come together was such a joy! Liz and Tim used that time to consider their guests and add the moments that involved the most amount of guests. From the garter hunt to the very popular two bouquet tosses, there wasn't a demographic forgotten. Every guest came to jam out to their favorite songs. It was truly amazing to see how much fun a group of 400 can have in one night. Uplighting helped create elegance to the Legion's otherwise bare walls. Click on the video to the right to see the night from our perspective. When the party is over, and you drive away with a "Just Married" sign slapped on the back of your car, you find yourself journeying into the most beautiful, exciting, adventure you've ever had in your life. Here's the start of of Ashley and William's something beautiful. Congrats to Peter and Thalia! Beautiful wedding reception at Country Inn and Suites Mankato. These high school sweethearts joined together with family and friends to commit their lives to loving each other as Christ loves them. It was a perfect April day with temps in the 70's. The bride was gorgeous, their affection sweet, and the room uplifting. Yet, the most beautiful and inspiring part of the entire day, without a doubt, was the message reiterated throughout the morning, sermon, and speeches of the perfect love of Christ. The never ending love HE gives us all. And the reminder that even in tough and unperfect moments in life - HE is there. HE is faithful. HE never throws in the towel, gives up, or walks out. HE had enough love for all of us, to say "You are mine forever." As as these two exchanged rings, made their vows, danced together, and celebrated with their loved ones - Christ's love shined brightly. A note: Jared is Carol's youngest brother, and it is our honor to have Erin and her family a part of ours. Welcome to the family Erin. We will love you forever. This the day that forever gets to hold these sweet memories. What a sweet couple, full of love for each other and for the friends and family that surrounded them waaaaayyy late into the night. 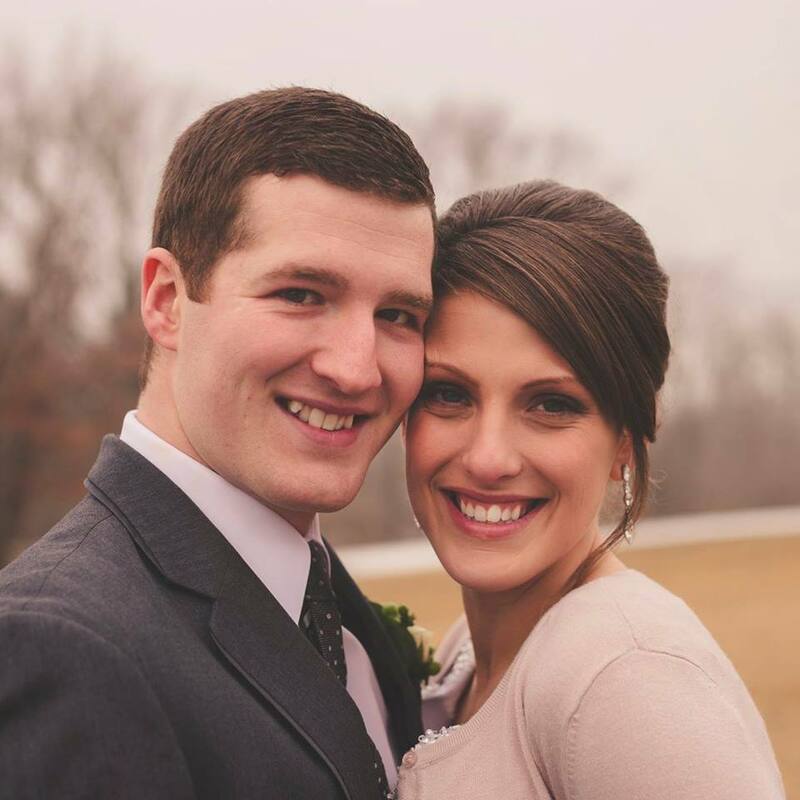 Congratulations Mr. and Mrs. Puterbaugh! Meghan and Drew were a wonderful Bride and Groom. The love was evident between them and it showed in the overwhelming support from family and friends that got to be there for their big day. 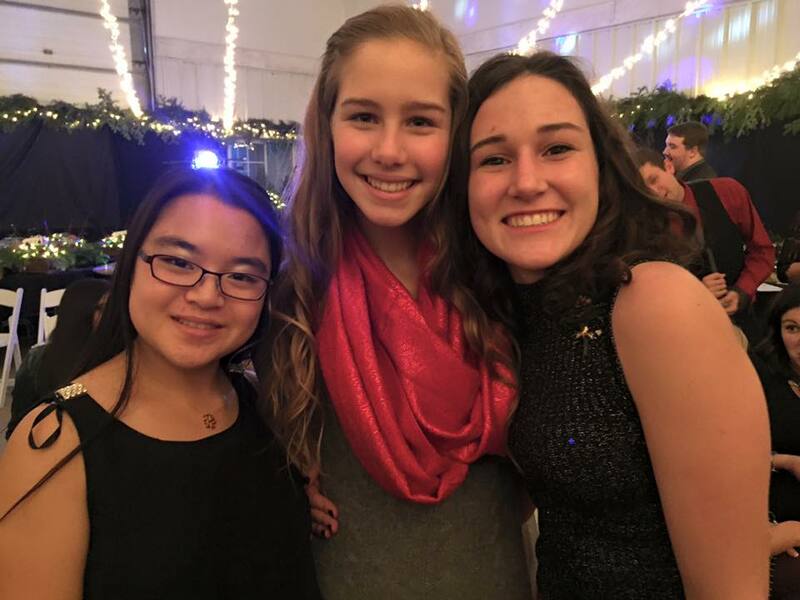 The only thing splitting the attention with them was the Christmas tree/Chandelier that hung from the center of the dance floor! Ps. That's mistletoe hanging at the very bottom. Two of the kindest, most loving families, and a great group to party with! 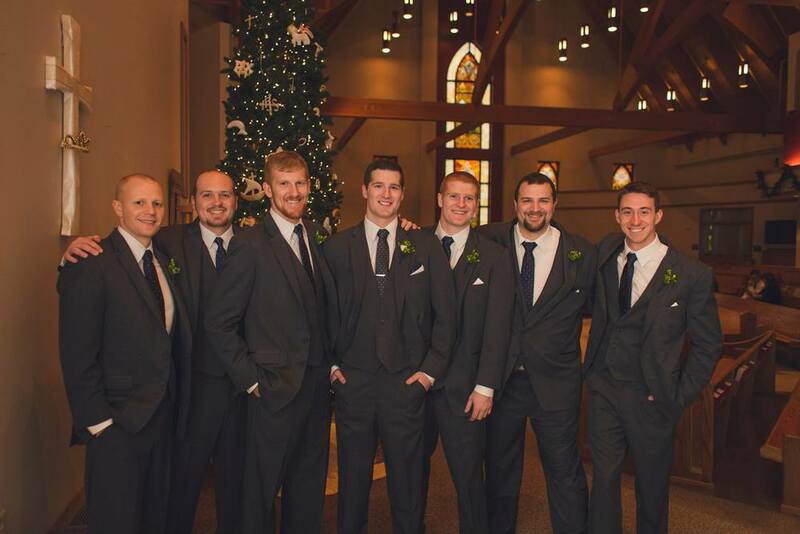 It's not everyday that we get the pleasure of celebrating a wedding with our own family. 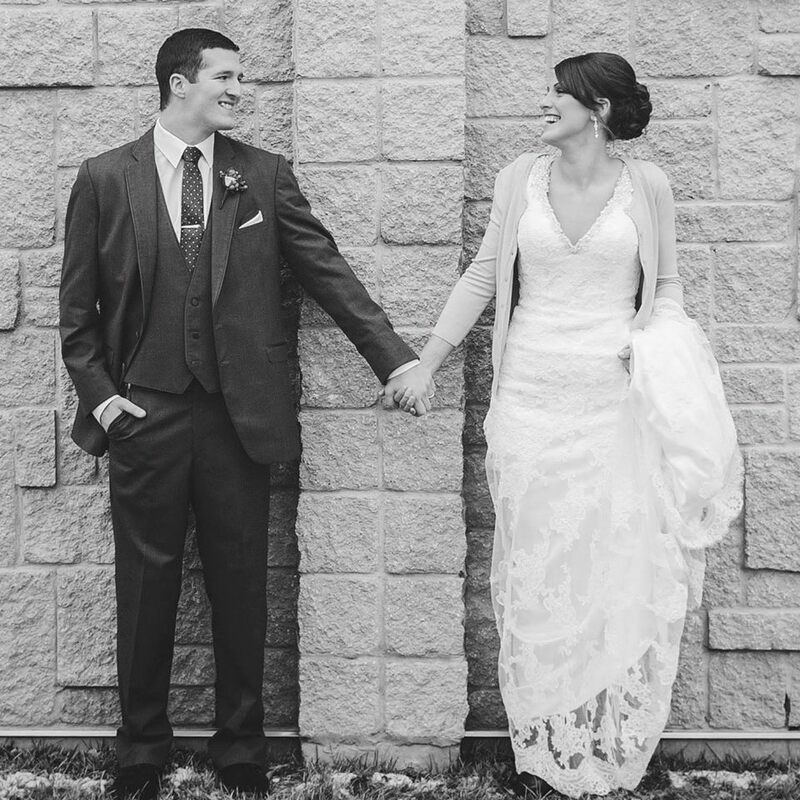 Daniel and Courtney had a beautiful winter wedding and a upbeat family focused wedding. Sweetest moments: Courtney wrote in a journal ever day of their engagement and surprised Daniel that day. Daniel's speech after dinner expressing beautifully the joy Courtney brings to his life. What a heartfelt and goofy group! A beautiful vineyard setting for the ceremony followed by a packed dance floor at the reception. 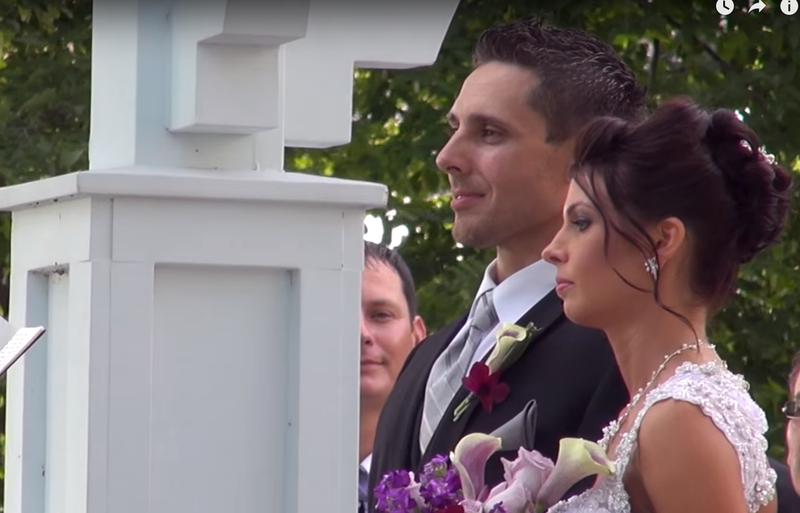 These sunflowers were the perfect flower to show off this couples love that shines like the sun! Hannah and Kody had the biggest smiles all day. These two were a joy to do planning with and really a spectacular group in Fairmont. Alan and Jasmine are one of the sweetest couples I have had to work for. And they are true MN Gopher fans! The love they share towards one another is something remarkable.